CHILLICOTHE, MO – Annual service reports were heard by the Chillicothe City Council Monday night in the interest of making final drafts of the city budget. Arts Council Executive Director, Mary Lou VanDeventer requested additional funding for the Sliced Bread Jam Bluegrass Festival. The Arts Council executive board had decided to downsize the festival for this season. However, that was before the Missouri Legislature recently passed the Sliced Bread Bill, which recognizes July 7 as Sliced Bread Day. 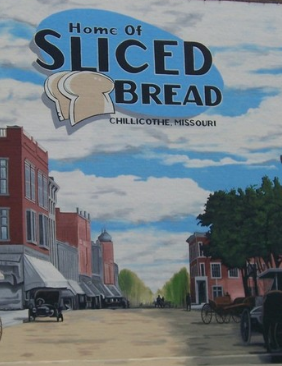 The first commercially sliced bread was sold in Chillicothe. The Arts Council has now moved the festival to that weekend in July. VanDeventer said the legislation could be a ‘shot in the arm’ for the festival. The request was for $5,000 in additional funding. A service report from the Humane Society from Leslie Paddock requested no further funds, but emphasized the need for maintenance at the animal shelter. Paddock stated she was gathering more pricing information before seeking extra financial support from non-city sources. Council voted on adopting Coach K Street into the city, which leads to the new elementary school. At a previous meeting, council had been unaware of needed information about the road. When council members realized a previous board had approved asphalt rather than concrete, some contention arose as to whether approval would be given. City Administrator, Darin Chappell attempted to provide some clarity. The council voted 3-2 in favor of the measure. Some council members still expressed dissatisfaction with the outcome of the project, feeling they had been bypassed regarding certain information.